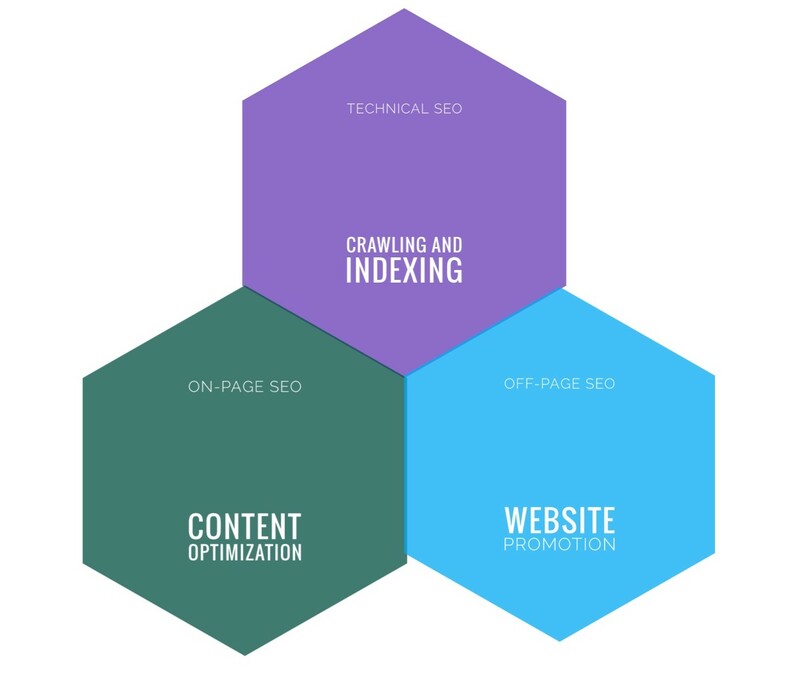 These are kind of three ways to think about the overarching kind of aspects of SEO. Have you ever wondered how to help more people find your website well, here is many hosting providers host millions of website and I have lots of experience to successfully increase web traffic. One of the best ways to do this is through what’s called Search Engine Optimization or SEO for short. Search engine optimization is the name itself, customizing your website or blog according to the search engine. And now the question is raises how the search engine should work and what we should do on our website or blog. SEO means not just bringing traffic to your website or blog. Rather, it’s SEO’s better user experience, making your website or blog attractive. 1. 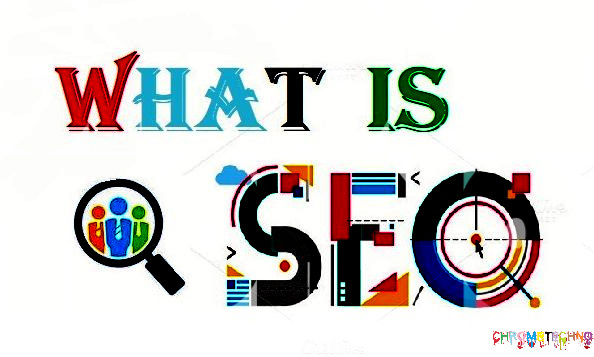 Technical SEO: – In technical SEO we work on webmaster tool or in general to ensure that search engine can index and crawl our website and web pages. 2. On-site SEO: – customizations on your site and content. 3. Off-site SEO: – Promotions of sites into another site. Your websites are blocked it’s not getting any traffic from googling some of your pages aren’t being indexed properly. You’ve got weird URL parameters set. What the heck am I talking about? I am talking about technical SEO. Technical SEO one of the main issues that hold back large website and small website from ranking in Google. It’s one of my main expertise. And today here I am also gonna talk to you about, why technical SEO is important and what it is. Okay, SO what is technical SEO? When it comes down to SEO in general, it’s really how your website built, how great your content and how many links are getting. 1. So, it’s technical which is how your website is built. 2. It’s your content how great that is and then linking. 3. Which can also be kind of external factors like social media and things like that. In the case of local SEO. It’s a little bit different because there’s a different signal there bit technical SEO is your actual website in technically how it’s built. 2. The google removal tool. 3. They’re blocked by a robot.txt file. 4. Perhaps they have real canonical’s going to the wrong place. 5. They have their no index no follow in the wrong area. 6. They’re getting content index in the wrong area. 7. They have their international SEO set up incorrectly. 8. The wrong ref link tags in the wrong place. 10. They don’t rel next rel prev, or they’ve got a real canonical going from one place to the other. All those things that I just, rattled off the top of my head, those are all technical SEO issues, and you probably don’t even know what most of those are. On-page SEO is really related to what’s on your website, okay so it’s everything related that goes on within your own website you typically have most of the control when you’re doing things that are on-page. On-page is what you can actually directly control on your website itself. In On-page SEO there are a few different kinds of things that you can focus on obviously this isn’t the full list but one of those things is, of course, the content. 1. Quality of the content: – When you look at the content there’s a variety of factors that go along with the content. So you can look at for example the- Quality of the content whether you’re just trying to do content for search engines or you actually have real in-depth high-quality content. 2. Good Keywords: – That’s in detail it could also be in things like the keywords, so if you have good keywords that are targeted specifically for let’s just say the search things that people are doing then again. That content is going to be ranked higher because it includes that keywords that people are searching. 3. Updating content: – For also it might be things like how fresh your content is are you updating content periodically so again this just is the frequency of things every time. That spider or robots come to your websites are they seeing fresh or new or is it pretty much the same things so are all good things. That’ll help you know your on-page factor. 4. Optimized title: – This is just based on content alone but of course there are other factors so if you look at the titles. The titles that you use in your a search engine optimized title, so the SEO title in the title tag that you use also how is that, you know how is it written is it written well does it have the keywords are the keywords at the beginning of those titles or are they more at the end. 5. Description right: – Also looking at the description, okay so if you look for the description right under the websites as they get listed in search engines how are these written. Now not every time will the description be used but it’s a helpful little guide to help the search engines continue to scan your website and see what it’s all about. 7. Page speed: – Another thing that could happen is low if your site load very quickly this is handy but if a load is slowly then this could be a problem. So these are all just little things that help SEO ranking or SEO score of your website or blog higher due to search engines. I would say if anything if you’re looking to focus on any primary things then focus on content would be the key to focus on very good content update it quite often and look at you. You know some basic title tags. Off-page I fact through has things to do with things are not in your website so it could be like link building it cloud be other elements but they help get your page rank higher or build your brand or build your credibility so in either case, off-page is these external things that you’re doing in order to help your website. 1. Link building: – One of the main things is links so just like in grade school or high school. the more people that know you the more popular you are and links the more website that constantly links back to your website means the more popular you are so it builds credibility, now “Sometimes this could be used as you know. It can be used in very bad way in a back in the day when search engines first got started using link and there was a lot of spammy links or there was just link farms that were being created and these things eventually the spiders and google and all the search engines recognized that there are spammy so those started to kind of count against you and words didn’t really help you too much. So it’s not just about links it’s also about the quality of links okay. 2. Social Media: – Also social networks now search engines are incorporating those how many social network links do you have. That is pointing back to your website as well so all that helps build credibility.